Miranda Otto on "Making Of" on Bravo! (mov): A clip from "Making Of," which aired on Bravo! It features a Miranda Otto interview as well as clips from The Return of the King (1.6 MB). "Jupiter"(an Eowyn video featuring music by Tori Amos) New! 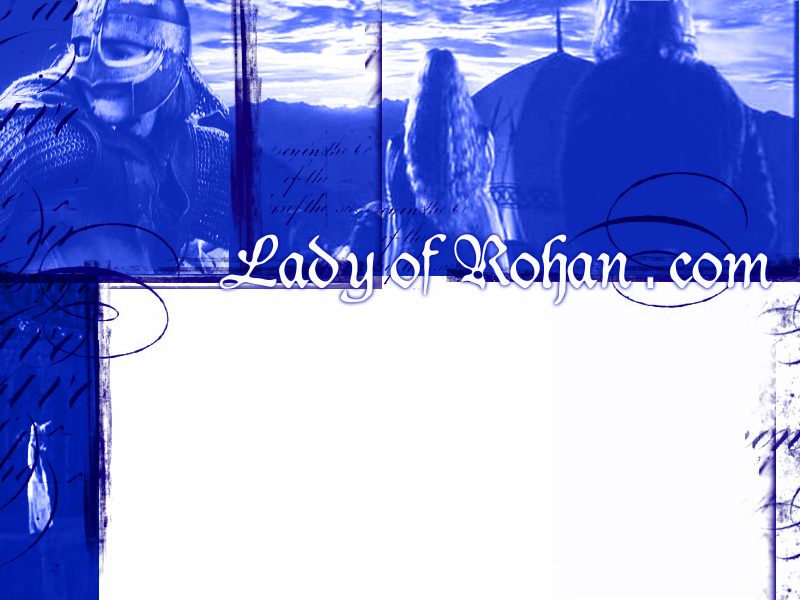 Each link contains numerous other videos, I am just pointing out the ones that are Eowyn or Rohan themed. So, take time to view their other videos as well, because they are all great and provide wonderful entertainment.